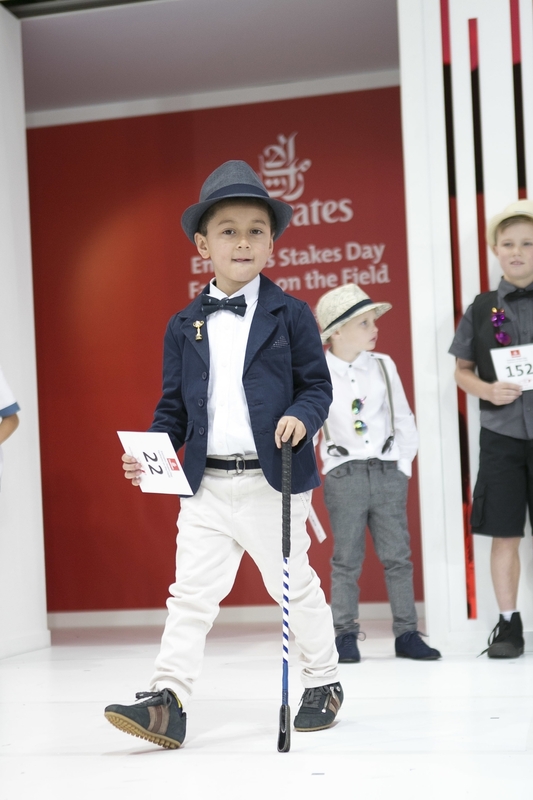 Since 2004, children of all ages have displayed their fashion pedigree (and flare) in the Emirates Stakes Fashions on the Field competition. A family category was later introduced in 2011 allowing younger children to join in the fun alongside their stylish folks - and it's been a huge success! 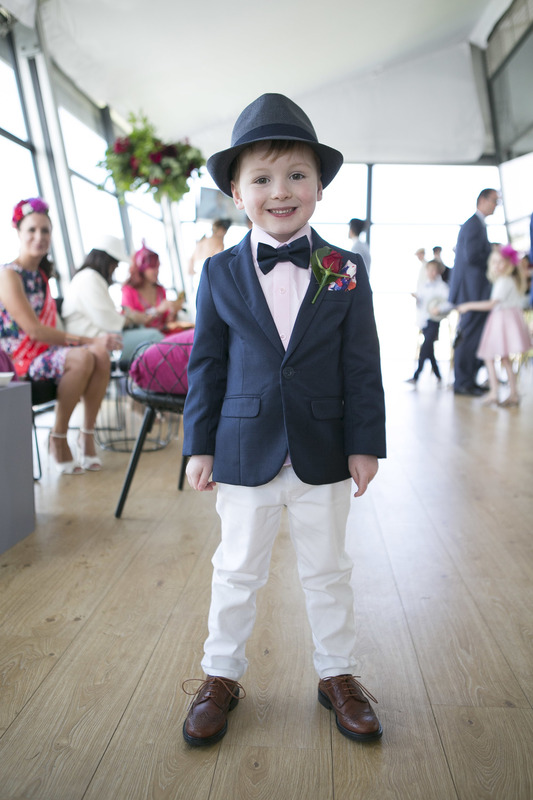 My involvement in the Emirates Stakes FOTF dates back to 2013 when I rallied the troops (then aged 3, 2 and 12 months) and entered our tribe in the Family Category. It was a great experience, completely outside of my comfort zone and we surprisingly placed 2nd Runners Up! More recently with the success of Styling the Tribe, I've been welcomed back as a Guest Judge for the Junior Boys category (2014 and 2015) which has been an absolute blast. Believe me, I much prefer being on the other side of the judges desk! This year more than 400 children and families braved the chilly conditions and paraded in their finest race wear. I sat alongside Herald Sun reporter Jackie Epstein and together we had the difficult task of narrowing down 7 heats of bubbly little lads into a top 10. Fun, fashionable and age appropriate was the brief and the Junior Boys definitely delivered! 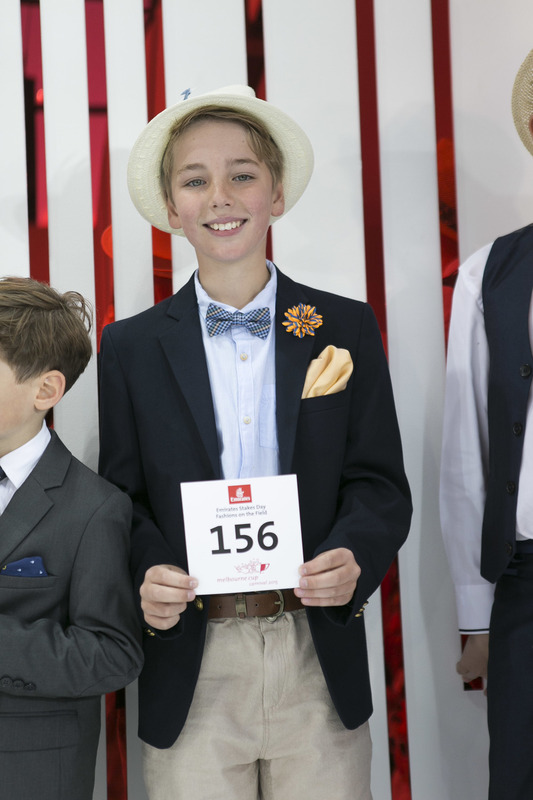 The 10 finalists ticked all the boxes - dapper outfits, big smiles, shinning personalities and fancy footwork. The audience cheered on, numbers were crunched and the top 3 were ready to be announced. I had the privilege of reading out the place winners and their celebrations were just as impressive as their outfits! It was so refreshing to see the spirit of the carnival embraced by young and old. 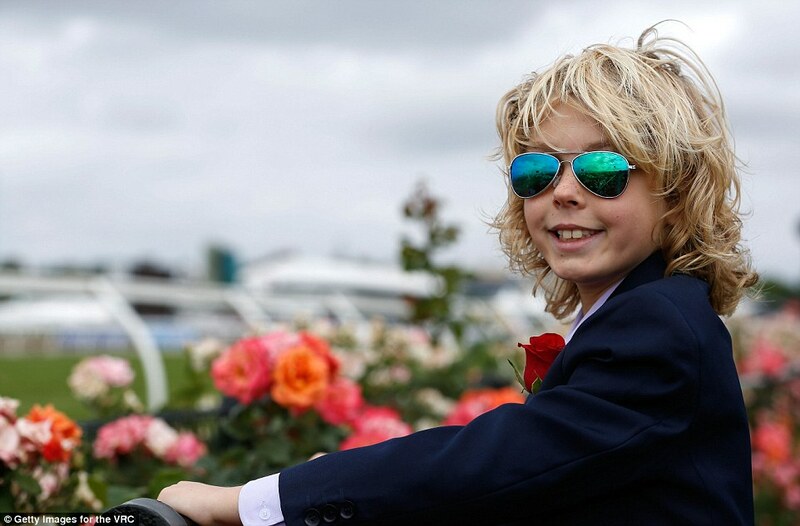 Little Tommy Gielen, 5 years from Mount Eliza, stole the hearts of the panel and was awarded the Junior Boys winner. Imogen Christen, 6, from Moonee Ponds won the Junior Girls competition. In the Senior Fashion Stakes, honours went to Hana Singtong, 15, from South Yarra and 13 year old Texas Watterson (below right) from Hughesdale. Family Category glory was awarded to the gorgeous Arrowsmith Family. Parents Dustin and Christie coordinated their pink, purple and navy outfits with Children Milo, 4, and Clementine, 1, from Chelsea. Matching Floral headwear and fedora's was fun, age appropriate alternative to traditional millinery. Getty Images for the VRC also featured.